Deep cleaning kitchens entails every part of the kitchen from the floor to ceiling and everything in between such as equipment, counters and walls. 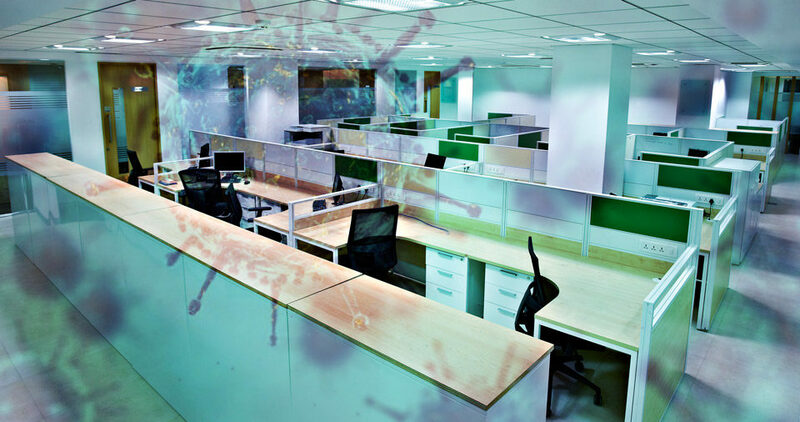 The main purpose of deep cleaning is to hygienically clean and sanitize the areas of the site one would not normally be able to clean with regular cleaning and includes the areas one would not normally even notice such as the floors and walls behind equipment and exhaust systems. Firstly all equipment is moved to gain access to the areas behind and beneath them. All storage areas such as cupboards and fridges are emptied to that shelves and fittings can be cleaned and sanitised. The equipment is then cleaned by soaking loose parts in a cleaning chemical mixture and all other parts get scrubbed and wiped. The exhaust system is then tackled by draping plastic all over the kithcen (to stop the grease from coming into contact with any other part) where after a funnel is applied to drain all grease away. Now that all equipment is clean the sinks are scrubbed all over and flushed. And last but not least all walls and floor are scrubbed where after the equipment is placed back in their original places. The method above is quite comprehensive and it will leave your kitchen hygienically clean and safe and looking brand new. Once the cleaning is done, the exhaust parts are refitted and polished and the filters are reinstalled. The plastic draping is then removed and the area is wiped. Maintaining kitchen hygiene is vital to not only protect the health of your employees but to also prevent fires. Furthermore, your kitchen should comply with all health and safety regulations put in place by the relevant bodies. Failing to maintain the hygiene in the kitchen will also invite pests and unwanted bacteria not to mention plausible fines. Dirty kitchens are often shut down or forced to be cleaned so it’s better to stay on top of the problem from day one. Failing to perform regular deep cleaning will lead to the build up of harmful bacteria and germs which are easily spread from surface to surface and ultimately to the people who eat from the kitchens. This will not only cause illness but will ultimately lead to the decline of your restaurants reputation. Only regular deep cleaning can clean a kitchen properly and rid it of all grease, dirt, pests and bacteria. Many companies are legally forced to deep clean their kitchens periodically so as to comply to regulation and remain safe for the prepration of food consumed by the public. A deep clean requires specialised equipment, chemicals and a team with experience in performing such a task. We at Dynamic Cleaning Services have all of that and more. Dynamic Cleaning Services will leave your kitchen grease free and looking brand new. Enquire today about our many options.